Ready to go! 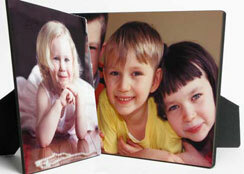 This great product features your image laminated to the easel back in a permant glossy finish. Durable and presentable, these make great gifts as they don’t need to be framed, they can go right on a desk or a dresser. Images and Design are © 2000-2012 Cowboy Images. All rights reserved.